The Merchant’s House welcomes Groups and Coach Parties throughout the year – please phone the Office on 01672 511491 to discuss visit dates and times and we will organise guides to take you on a tour of The Merchant’s House and garden. Coach Drivers are welcome to join tours free of charge. The House is situated on the north side of Marlborough’s famous High Street approximately 100 yards from the Town Hall. Marlborough is 75 miles from London and 30 miles from Bath. From London take the M4, exit at Junction 14 and follow the A4 to Marlborough. From the West take the M4 leaving at Junction 15 and follow the A346 to Marlborough. 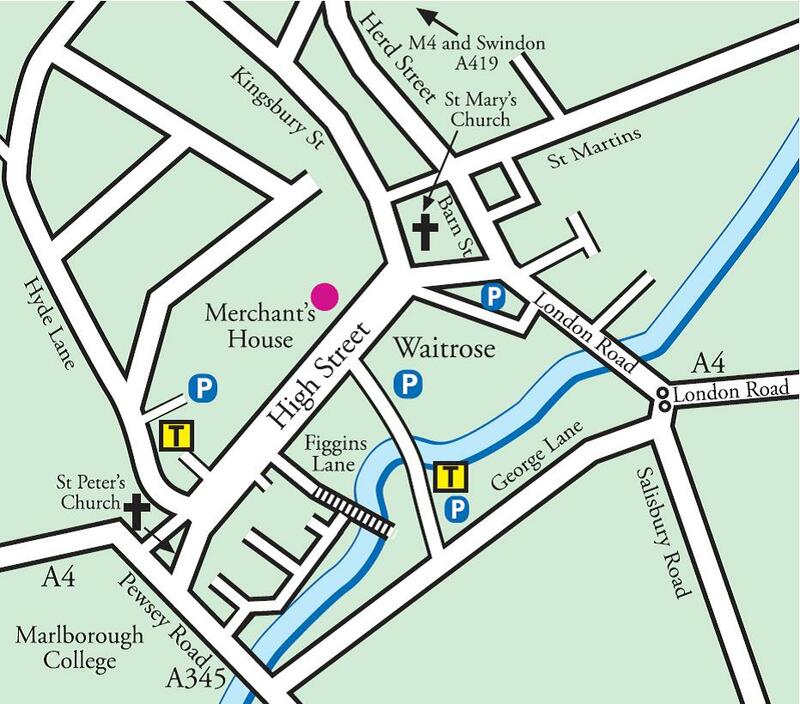 Parking is available for Coaches in George Lane carpark, and visitors can walk easily through the car park over the Kennet River straight onto the High Street. The Merchant's House toilets are available to use during your visit. Public toilets are available in George Lane car park. Toilets are also available in Waitrose, and behind the High Street at the St Peter’s Church end.